Check out the next Southeastern Conference NYC Happy Hour at Idle Hands! 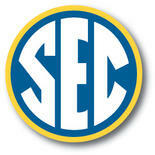 The next Southeastern Conference NYC Happy Hour is Wednesday, April 25 at Idle Hands. Idle Hands is bringing "Bourbon. Beer. Rock." to the East Village and is now open as your new destination for post concert parties and bourbon and beer tasting. $5.00 SEC Cocktails including "Pisco Sun" & "The Conference Champion"
Please visit the University of Arkansas New York City Chapter Web Site Event Calendar for future NYC SEC events and center of Landing Page for NYC SEC event photos. Our web site: www.arkalum.org/NewYorkChapter. If you are interested in joining our SEC NYC - Southeastern Conference Alumni of New York City Facebook group for co-ed sports, marathons, volunteer work, AIDS walk, snow skiing, rafting, canoeing, happy hours, football classic with guest speaker, Halloween Party, LSU Mardi Gras, LSU Gumbo Cook-off, LSU Crawfish Boil, Arkansas Pig Roast, Mississippi Day in the Park, Kentucky Derby, Kentucky Casino Night, Kentucky Belmont Bash, Georgia/Auburn bull riding, SEC Happy Hour with South Carolina and anything else I forgot to mention, please join the Southeastern Conference Alumni of New York City Facebook group.